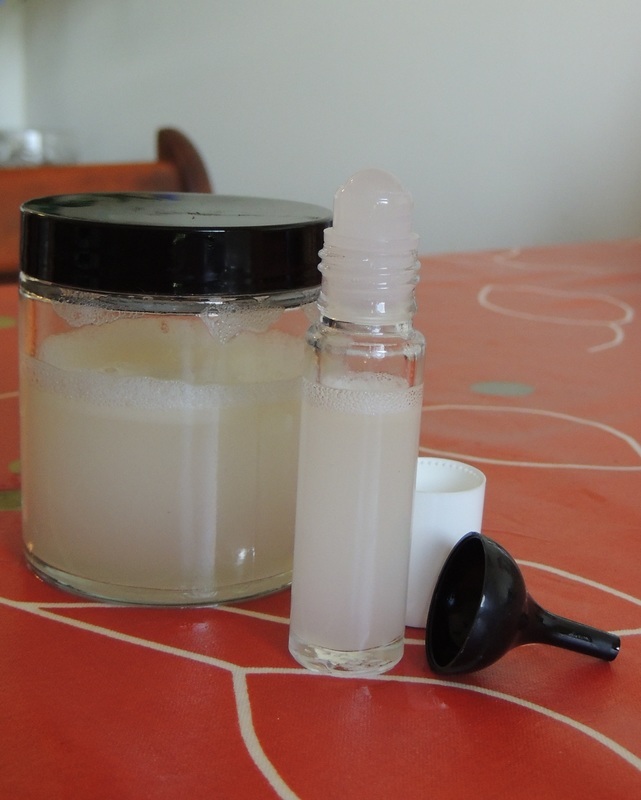 Thanks to Voyageur Soap and Candle for this awesome recipe! When trying out something new always check to see that you have no sensitivity or allergy to it. Put a little on the inside of your elbow and leave it for a couple of hours to make sure you aren't sensitive to any of the ingredients. 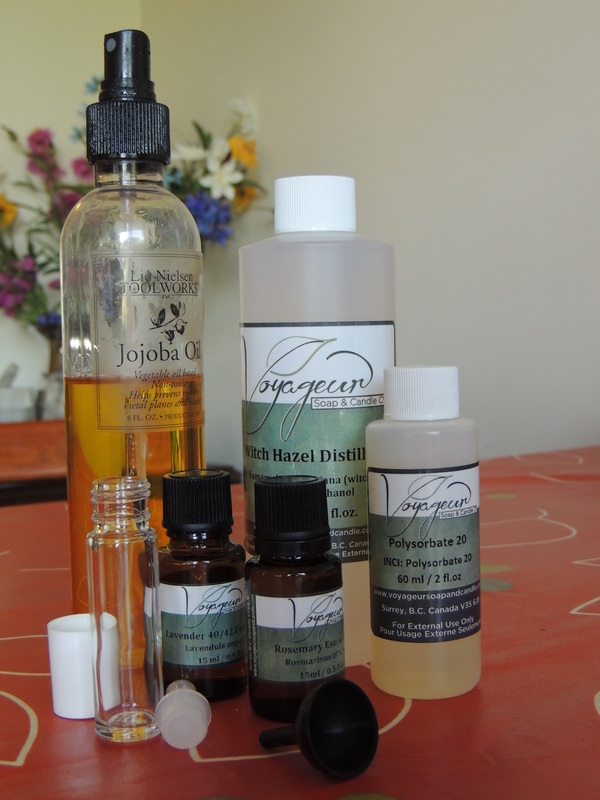 Measure the Polysorbate, Jojoba Oil and Essential Oils into a small container. Stir well. Measure Witch Hazel into a small measuring cup then pour the Polysorbate/Oil mixture into the Witch Hazel.